Thought you were safe from another Chipotle price spike? Guess again. 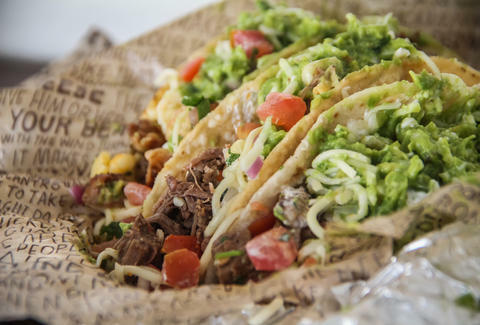 Even though Chipotle previously insisted there'd be no cost change for 2015, they revealed in a conference call yesterday that steak and barbacoa prices are set to rise, due to the growing cost of beef. According to Slate, Chipotle says it underestimated beef-based inflation and is now backpedaling on their claim that entree prices would remain the same this year. They're now expecting a 4-6% cost bump on all steak and barbacoa orders, though it's not yet clear when it'll hit. Chipotle also projected ongoing carnitas supply problems (leftover from the great January crisis) in select stores throughout the spring and summer. Man. At this rate, we should brace ourselves for a plague of locusts to eliminate the guac at any moment. Kristin Hunt is a Food/Drink staff writer for Thrillist, and will stick with her chicken burrito for the foreseeable future. Follow her to cost analysis at @kristin_hunt.